Square Enix is packing 9 figures in every factory sealed box of toys so you'll get a full set of five and duplicates. 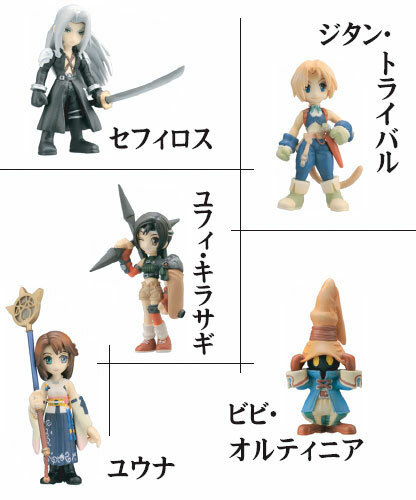 The third series of Final Fantasy Trading Arts Mini figures culls its cast from Final Fantasy VII, Final Fantasy X, Final Fantasy X-2, and Final Fantasy XII. 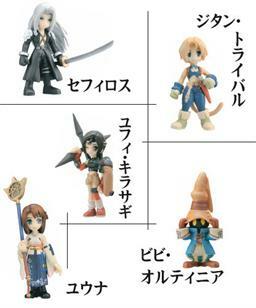 Squall Leonhart of FFVIII fame leads another quintet of toy figures based on Square's fabled Final Fantasy franchise.